You’re never too old for airplane! Join Christine Kick for a playful partner yoga class where you will find some air time flying high with friends. Join us solo, with a friend or family member. This class will have something for everyone. All acro yoga poses will include the safety of a third person as an educated spotter. Some yoga experience recommended. Bring a yoga mat or two, water, and for clothing suggestions, visit Debby’s blog article on acro yoga >> http://blog.yogogirls.com/our-fly-over-city/. Aerial and flow arts are meditative body movement modalities that are beneficial for the body, mind, emotions and spirit. The ReKinective performers share the joy, empowerment and balance that they have experienced by providing opportunities for participants of all ages to try out lyra, hammock and aerial yoga AND to join in the ReKinective Experience show! Essential oils are the bridge to a natural lifestyle. Not only can they can replace all of the toxic yuck in your home, they can also support every system of the body and at all levels of your being: physical, emotional, mental, and spiritual. Take your next step on the pathway to better health and well-being, and never look back. They are family friendly, and easy to use. Let Meredith show you how! Learn basic belly dance drills with the hips, abdominal, hands, elbows, shoulders, waist, feet and more in a hypnotic graceful way and incorporate a veil into your dance. This type of dance is inspired from different styles of the world including North India, Middle East Spain, and Africa incorporated with Americanized dancing. Set your playful spirit free while you move among the flowing vivid colors. BUTI, in Indian Marathi, means “the cure to something hidden or kept secret.” This practice for women is a high-intensity fusion of Yoga, tribal dance, and plyometrics. Call combines cardio, strength training and flexibility in one seamless format. This class is an advanced unique practice that is known for its primal movement and spiral structure techniques. The major movements you”ll do in Buti are designed to activate all the abdominal muscle groups. You can expect explosive movements, up-beat music, deep core toning and a quick pace. In Buti you sweat with intention seeking both physical and mental benefits. Buti creates a strong, empowered group that resembles a tribe. Most importantly you have to leave your judgments at the door, you may do some movements you have never done before and it can seem weird or scary at first, but as long as you show up with an open mind this practice creates a body positivity approach to a deeper sense of self love. Buti Yoga focuses on removing obstacles to our first and second chakras. 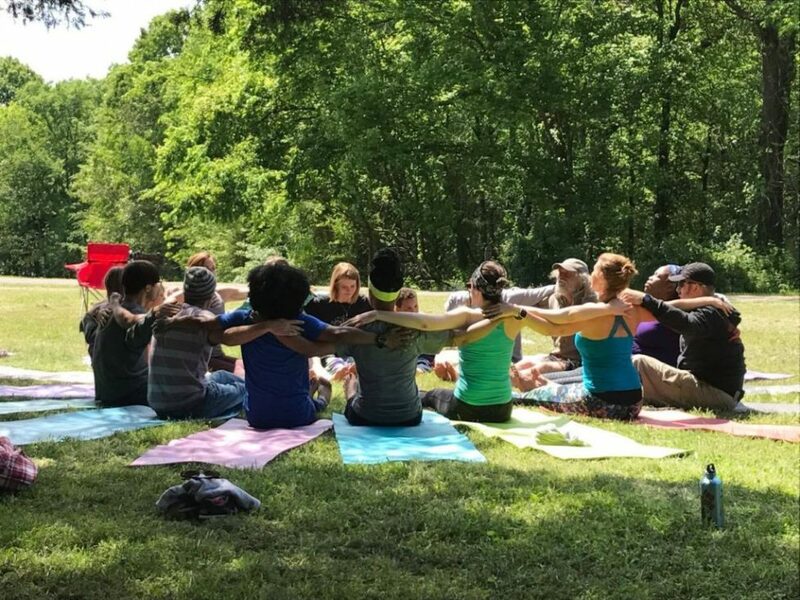 Buti Yoga follows the lead of many cultures such as Native American and African tribes that have dance rituals using hip and pelvic spiraling. Wear yoga clothes and prepare to sweat! Listen to your body when it needs a break and know that it is always ok to modify or take rest anytime throughout practice. 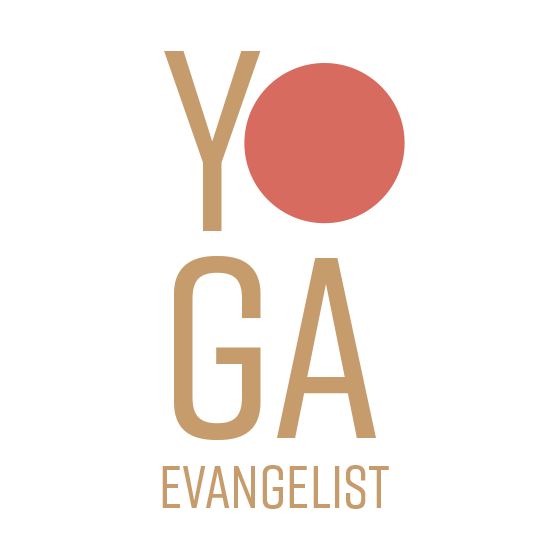 Buti Yoga is often referred to a “soulmate workout”. Yoga does not always have to be so serious. Come find your freedom, your playful side. and connect with the pure life energy we all share within ourselves. Laughter and playfulness are SO welcome here. ALWAYS beginner friendly. Discover how in ceremonial doses, raw theobroma cacao is a powerful heart opener that paves the way to transformation through self-love. It’s thought cacao was first used as a health elixir and ceremonial medicine as far back as 1900 BC by the ancestors of Central America, the Olmec people, before becoming a ritualistic medicine used by the Aztec and Mayan cultures. One of the main active ingredients that we experience in our physiology during ceremony is Theobromine. Theo-broma literally translates as God-Food, and potentiates the release of dopamine, the ‘pleasure’ hormone. This, alongside phenethylamine, which is known to help relieve stress and depression and which is released in the body during emotional euphoria, create heightened sensation and empathy. Alongside these, the high amount of nutrients in the cacao support and nourish the body, whilst also inducing a detoxifying effect on the liver and kidneys. Due to the euphoria inducing ingredients, the emotional impact can be profound. Everything feels heightened within the physical and emotional body, including your awareness to your deepest sense of self and to your heart. The experience of love and empathy, particularly for yourself, can literally feel as if your heart is opening like a flower. With this, the body can become flooded with the many emotions stored in the heart, some of which can be painful. It is not always an easy experience, and I have seen many tears shed as people peel away old layers of hurt. But as the cacao facilitates a deep sense of self-love, tears are always followed by smiles of deep gratitude. In other moments, the sheer ecstasy felt from the cacao can be described as nothing other than a divine experience.A cacao ceremony is an opportunity to connect to yourself and open your heart. Because of cacao’s ability to increase your connection to your inner self and your heart chakra, it aids in any transformational shift you are working towards, whether you are looking to deepen your understanding of who you are, release old patterns and traumas, or move into a more self-confident space. Whatever your path, the intention is yours to set, and the cacao allows you to the insight and awareness to move towards that goal. *$10 per cup. No reservations required. Celestial Communication works on the upper triangle – the 5th, 6th, 7th, and 8th chakras. The movement of the arms also affects and opens the heart, strengthens the aura, and magnifies your subtle and radiant bodies. By strengthening the aura and radiant body in Celestial Communication, everything can come to you and prosperity will will flow to you. The movement of the fingertips through the air during Celestial Communication increases your prana (energy), which connects with your neurons, and relieves the deep stress that accumulates in the brain. By experiencing this deep relaxation, anxiety subsides, and your natural state of innocence and creativity is renewed. This technology unifies your body, mind and spirit. All three are harmonized through the movement, and duality is removed. As the name implies, practicing Celestial Communication connects you to the Infinite and expands your relationship with your divine, angelic self. It is a beautiful way to connect to the sound current and to create and vibrate the music within you. Everyone can practice Celestial Communication! Yogi Bhajan taught that in the future it would become more and more difficult for people to sit and meditate, and that Celestial Communication would be a wonderful way for people to experience the benefits of meditation. All ages enjoy this type of meditation – children, adults and older adults. 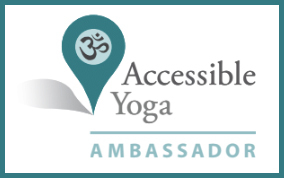 People with disabilities or physical limitations, who may not be able to practice all of the yoga asanas, can also benefit from Celestial Communication. Create Your Narrative, a 90-minute combination journaling and slow-flow yoga class, pairing writing prompts that encourage self-exploration and creative thinking with a gentle flow. Journaling is a form of svadhyaya or Self study. It gives your internal landscape a voice. It’s a chance to document your processes, to reflect upon and release any longings or questions. A journal, like a yoga mat, can be a refuge, a place where you can discover more about who you really are. By interjecting free flow and some guided writing / drawing exercises into a mindful yoga practice, we will open to the richness of deeper self-reflection and express it into our daily existence. We will celebrate you. Practitioners will be provided a 30-page, lined 5.5″x8″ journal and a pen for this 90-minute experience. If you prefer pencil or your own journal or writing utensil, feel free to bring it along and use it instead. While I have extra mats, bringing a yoga mat will be helpful as well. No writing nor yoga experience necessary. The journal is yours to keep, use and expand on throughout your weekend and beyond, so that you might revisit it and re-affirm your intentions for this next chapter. 90 minutes. In this class, open to all levels, we will take a deep dive into all that is your CORE. Beginning by grounding with gentle meditative movement designed to link the body and breath. As we continuing to deepen this connection, we will explore a number of postures that concentrates our attention around your core and begins to fire up your deep stabilizer muscles. Your core will be challenged and your shoulders will get some love too. Dive into the ancient study of Patanjalis Yoga sutras in this yin/restorative style flow. 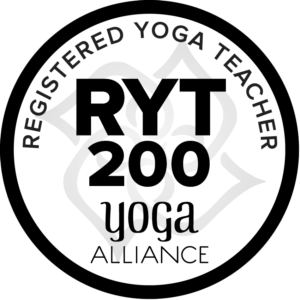 We will move slowly through asana and pranayama while talking and focusing on what the sutras mean in our history, yoga practice, and daily lives. Lots of time for silence, Sanskrit mini lesson, and mantra singing at the end of class. ALWAYS beginner friendly. Join Meredith for a crash course in energy healing! In this 60 minute workshop, Meredith will discuss a number of ways to use energy healing in daily life that can be easily learned and applied. There will be some time for some Q&A before she wraps it up by walking you through a step by step self-healing meditation. And don’t worry if you didn’t get it all, she’ll send you on your way with some take-home resources to support you in your journey forward! It is not joy that makes us grateful, it is gratitude that makes us joyful. Somewhere along the path we were conditioned to approach life from a place of fear, NOW is the time to make this life-changing shift. Discover what you have been missing and recognize the beauty you GET TO enjoy on a daily basis in this Vinyasa flow designed to open your heart and keep you moving. From the first strike of the gong, you will likely feel that you’re in for quite an experience. Every sound that can possibly exist can be produced by the gong. These gong sounds are not in harmony, which allows your brain to go into a “reset” mode within just 3-90 seconds! Eventually the brain goes into Theta brainwaves, which is our dream state, allowing the subconscious mind to clear or empty as it sends images or messages to the conscious mind. This experience is extremely relaxing, & effectively helps to balance the nervous system and glandular system. Participants often feel as if they are floating in the ether realms, transcending time and space, and report that the time seemed to pass more quickly than usual. All you’ll need to do is settle in, relax, and let the gong take you wherever it is you need to go. Kids of all ages can experience the excitement of hoop dance in this workshop. In addition to learning fun tricks on and off the body, we will play hula-hoop games with prizes for everyone! Modifications are available to accommodate any level student, from beginner to advanced. Hoops are provided for use or students may bring their own. Looking for a fun fitness experience? Hula-hooping is a great way to improve balance, coordination, and core strength. Learn the basics of hoop dance along with a few hoop tricks. Don’t worry if you’ve never been able to keep a hoop up! You’ll have a ton of fun no matter what (and chances are you’ll be waist hooping before the workshop is over). Modifications are available to accommodate any level student, from beginner to advanced. Hoops are provided for use or students may bring their own. Dance is a string of movements, and this dance class is about attaching your feelings to movements through sound. Explore many emotions in this class, anger, joy, contraction and expansion. Rather than ignore all the sides of ourselves let’s move through those feelings, know them, and let them go. This class will have specifically curated music and guided movement to help you discover a different movement vocabulary, one that stems from your own internal desires and expressions. Kids join Willy Rae on his quest for calmness, as he learns from Yogi Bear and other characters how to soothe himself and go from Silly Willy to Chill Will. Mindful Marionettes is a 45 minute puppet show intending to share the benefits of mindfulness with kids of all ages. Learn to match breath with movement and flow in your own art form that feels good for you, learn the different modifications for sun salutation, and as ALWAYS beginner friendly. Awaken your Life Fore Energy. Qi Gong is a Chinese natural healing practice that is simple and non-intimidating. It is perfect for all ages and types. Qi Gong combines gentle movements, mindful breathing, and meditation to clear, balance, strengthen and energize the body, awakening the flow of energy through the system for efficient healing and improved wellbeing. Set your day up for success by joining Meredith as she walks you through 30 minutes of her personal favorite Qi Gong movements. Accessing life force energy through the breath, channeling creativity through conscious expression, setting containers for sacred space, sexual expression as a means for manifestation. This 100-minute exploration of yoga through the seasons taps into astrological and alchemical themes to realign with the world’s natural rhythms. Broken into four parts, the workshop offers original readings, four unique short yoga sequences, and participatory rituals (supplies provided). By flowing from the grounding earth element of spring to the heat-building fire of summer, we learn to plant seeds, trust in partnership, anchor into self-expression, and blossom. By moving from the transitional balance of autumn’s air element to the watery release of winter, we bravely unravel so that we may expand, call on inner wisdom, and learn to let go. 100 minutes. Standup Paddle Board (SUP) Yoga is a peaceful yet fun way to take your practice outdoors and onto a floating mat. Danielle’s classes are designed to help you feel grounded and stable in a calming, yet empowering, flow. The classes will begin on land with a few minutes of instructions on SUP 101 and safety. Then paddle out to anchor our Floating Studio together. Join Ozark SUP Yoga instructor, Danielle Arzt on Little Grassy Lake on Saturday afternoon. There are just 12 boards, so we will have a sign up sheet outside the dining hall for this class. Wear whatever you’d like. Bring a towel and water bottle. Lisette’s background is in chakra theory and functional anatomy. This Vinyasa flow is designed to stimulate your center of intuition and truth by building heat in a solid foundation. Emphasis will be on pranayama linked with movement and modified versions of common poses in order for practitioners to rely more heavily on intuitive body wisdom than expectation of what the pose “should” look like or be. WAKE UP! 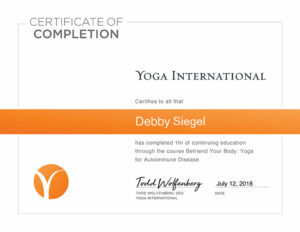 With yoga and breathwork. This class will be focused on balance and core activation through different breathwork styles and anatomical awareness. Experience the power of dristi, diaphragmatic breathing, and more!